Please note: NO player will EVER be turned away for financial reasons. Scholarship funds are available for any families unable to cover the full team fee. If you are in need of financial assistance, please indicate so on the player/parent form. You will be asked to pay however much you are comfortably able to. Also: The FMS Ultimate Intramural team starts up at the beginning of May with registration opening in April. If your player is NOT playing on the travel team and wants to only play Intramural, please wait until then to register. Welcome to the 2019 Falmouth Rogue season! 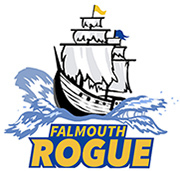 1) Fill out the Falmouth Rogue registration form. You’re done registering for Falmouth Rogue! *- If you indicated on your player/parent form that you need any level of financial assistance, wait until you are contacted by coach Shea Gunther before making any payments here. Again, NO player will EVER be turned away for financial reasons. If the full team fee is unaffordable, you just pay however much is affordable.